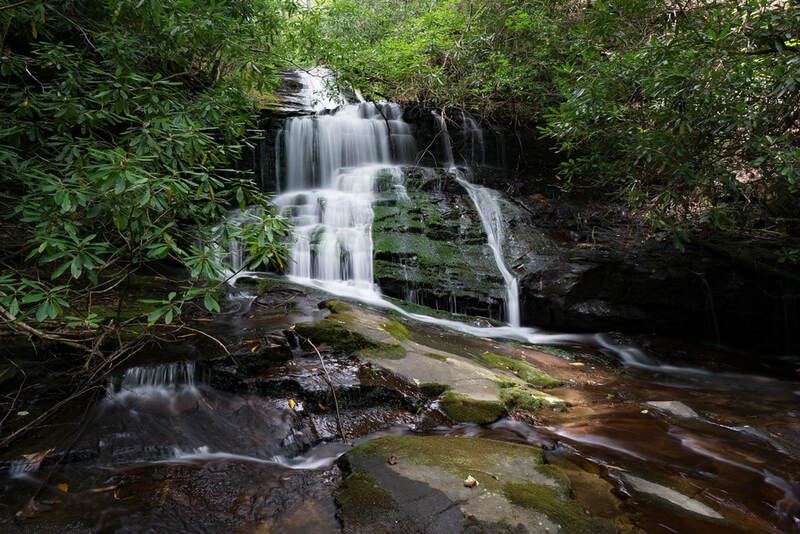 Waterfall Info: This is the only currently-known notable waterfall on Jasus Creek. Access Info: An old forest road/unofficial trail begins at the Jasus Creek bridge along Chattahoochee River Road (FS 44). Follow this faint trail upstream along Jasus Creek. It eventually peters out, necesitating a moderate bushwhack to reach Jasus Creek Falls.